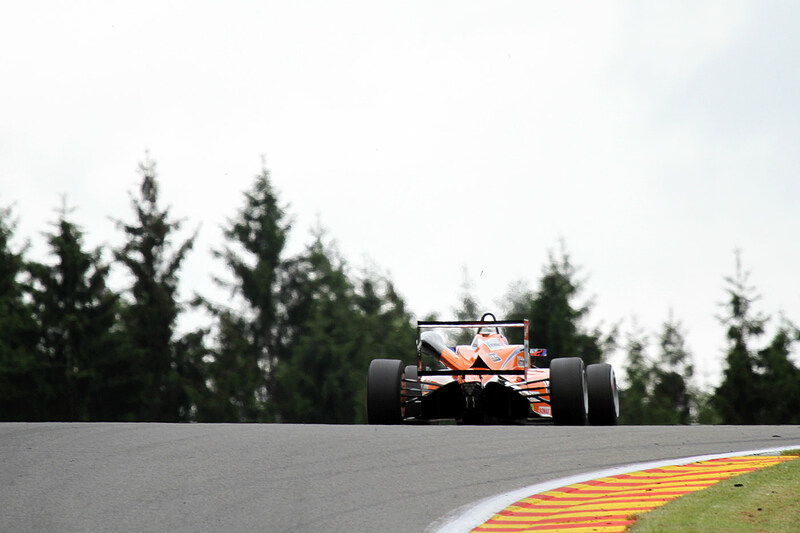 Felix had to settle for seventh place in the first of this weekend’s two FIA Formula 3 European Championship qualifying sessions at Spa, after losing one lap of running due to a temporary technical glitch that forced him into the pitlane. The first half of the session – which sets up the grid for tomorrow’s Race 1 in the Belgian Ardennes – was going according to plan for Felix, who held third after the initial flurry of laps. With some five out of the 20 minutes remaining, however, his Mücke Motorsport machine developed a fuel pump problem, forcing Felix to tour the circuit at low speed and return to the pits. While the issue was quickly rectified, it came at the price of valuable track time at the longest circuit on the calendar, with Felix losing one flying lap in the battle with his rivals and dropping from fourth to seventh at the fall of the chequered flag. Pole position went to Esteban Ocon, with Felix keeping the gap to the Frenchman at just over half a second around the 7 km lap. The second qualifying session, in which the grid for Races 2 and 3 of the weekend will be formed, takes centre stage later this afternoon.